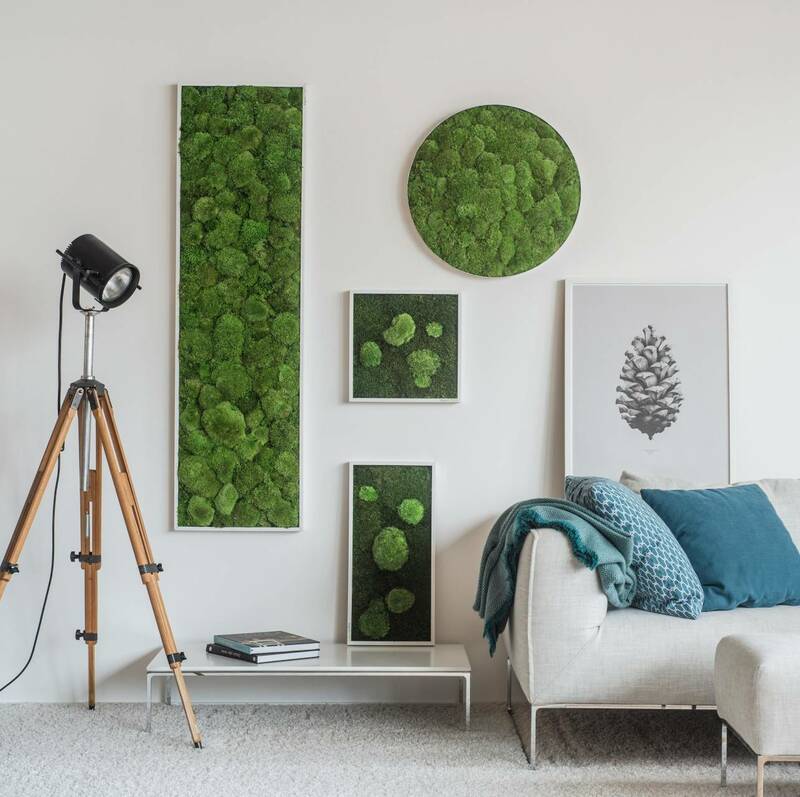 If you feel you’re getting isolated from the natural world, one solid solution to try is to add a moss wall into your home. 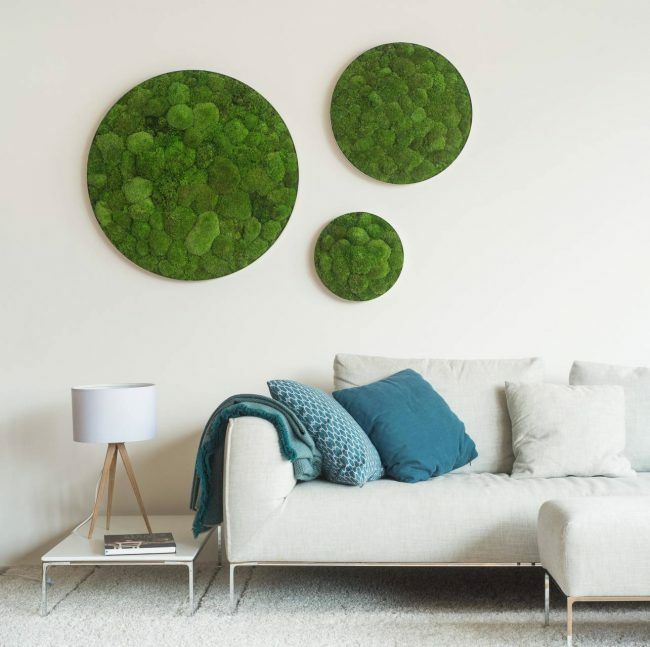 This is a cool design trend that allows you to maintain a connection to nature while making the room feel fresh and relaxing. Moss walls aren’t just a pleasure to look at, they’re actually surprisingly low-maintenance. If you use lichen (which isn’t technically moss, but has a very similar look) then you just need to keep the indoor humidity in an appropriate range. There are no watering requirements and you should also avoid direct sunlight exposure. 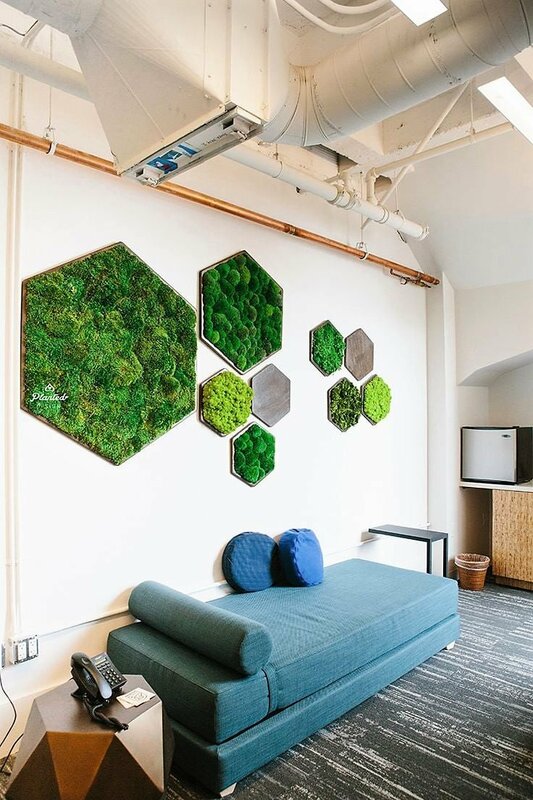 Moss Walls can also be seamlessly added to your home decor using regular sized frames which can be bought with the moss already integrated within by the store or you can build it on your own (we recommend using quality forest moss if you choose to DIY). More on that below. 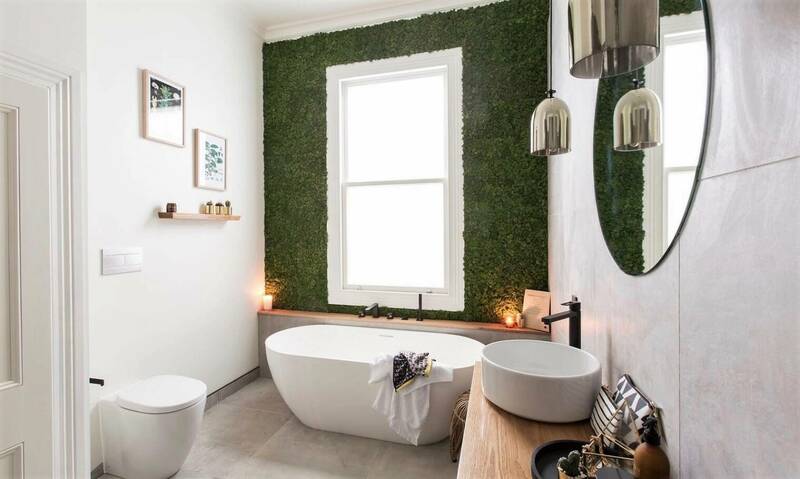 Adding a moss wall into your bathroom can change the atmosphere for the better. It’s only recommended if you have the available space. Another advantage to consider is that moss walls work great in the bathroom as they absorb the water from steam. You can go through your daily routine while enjoying the elegant display of greenery. 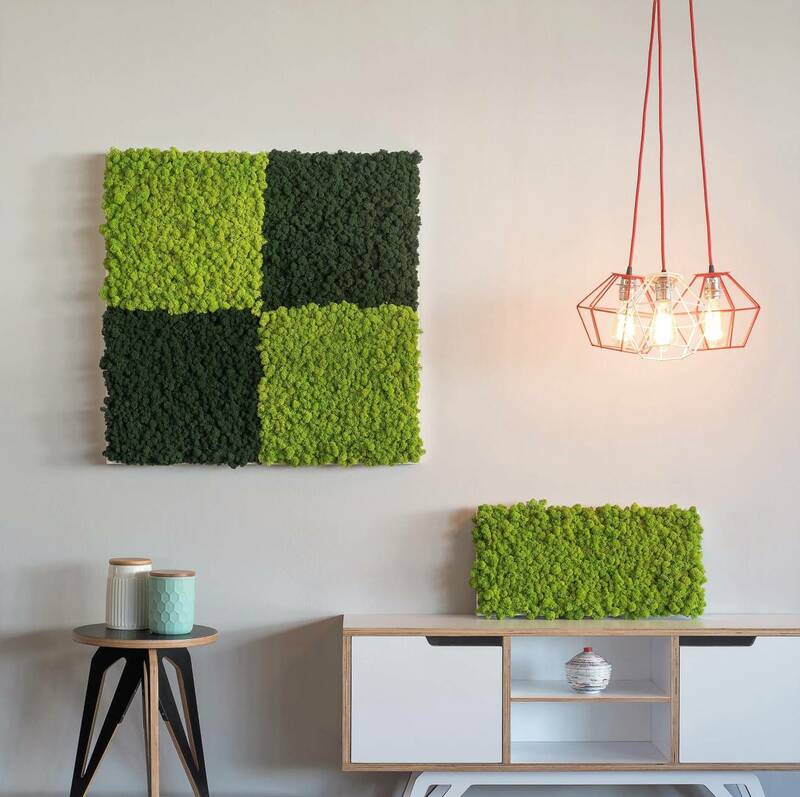 For those who consider simple room dividers too boring, you could try one that’s been embellished with a stylish moss pattern. This is a great solution if you want to add a splash of natural beauty when separating a very large room. 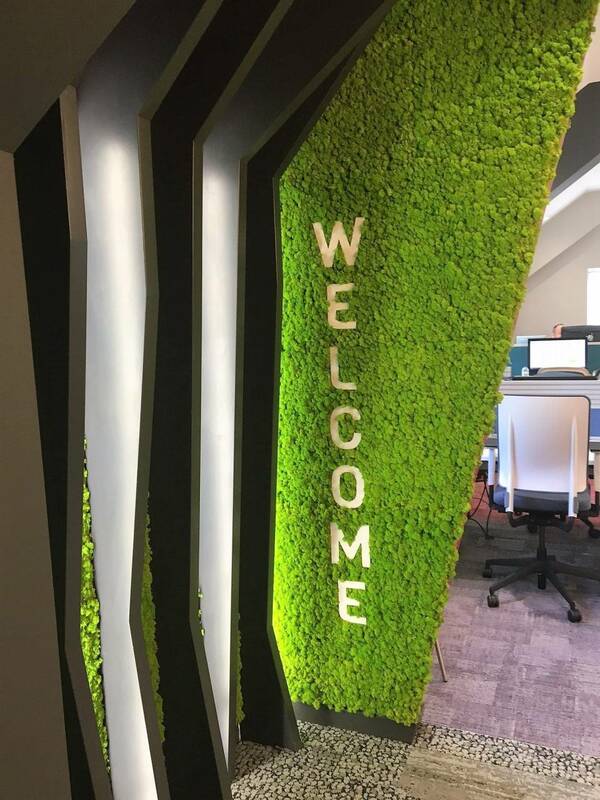 With the help of one or more moss panels, you can easily replace conventional paintings and create a more lively atmosphere. Whether in the dining room or the bedroom, moss paintings can satisfy your craving for natural greenery even when you’re indoors. It’s actually fairly easy to build one yourself using steel mesh a quality big pannel/frame and some natural or dried moss. 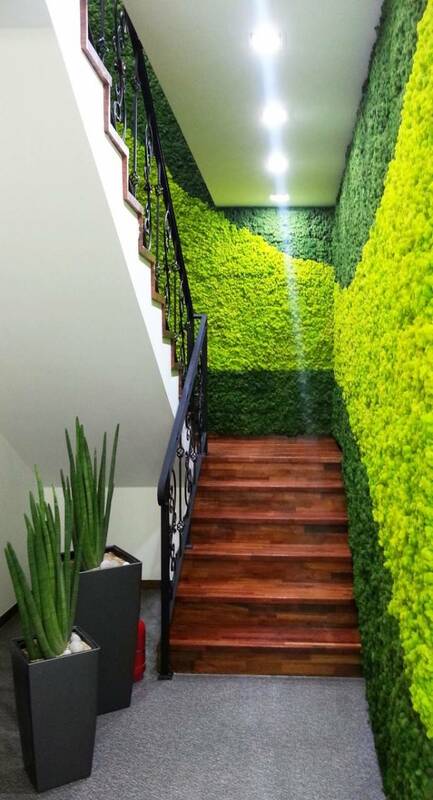 If you want to make a statement and have enough space, going for a particularly large moss wall is highly recommended. You can get more creative when it comes to larger pieces and the final result will definitely be eye-catching. The kitchen is one place that would probably benefit from the look and atmospheric vibe of moss. At a simple glance if you only place a bunch of panels, they can seem like plant paintings, but upon closer inspection, you’ll be able to see the natural moss at work. Decorating the walls with moss panels in the kitchen increases the breathability of the room and adds an interesting focal point which is preferable in this kind of environment. A great idea is to start a project to insert a whole piece of wall inside your kitchen in the dining area. On top of the wall you can place some beautiful shelves to complement the view and make it utilitarian. By incorporating a moss wall into your vertical garden you can truly revitalize the view in your backyard. As you’re outdoors, there’s also more room for adding different plants to boost the natural view and create a magnificent vertical garden. Moss walls don’t always have to remain simple. You can add other elements to increase the visual effect. For example, you could try incorporating ferns and branches. 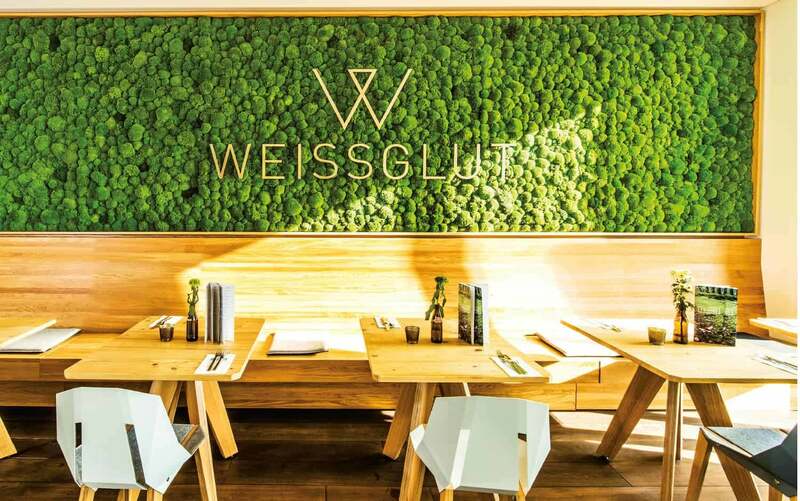 The background can also enhance the impact of the moss wall. 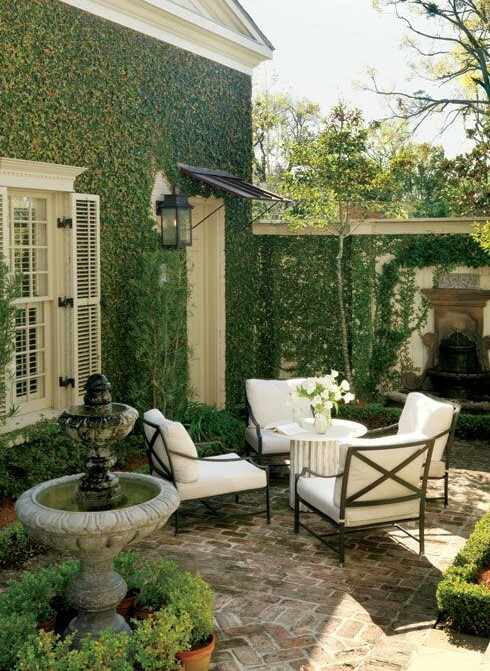 A creative solution is to pair the greenery with stacked stone veneer. Lots of custom pieces can be crafted with help from a specialized company such as Artisan Moss. If you create a powerful contrast you can achieve a more impressive look in the living room. 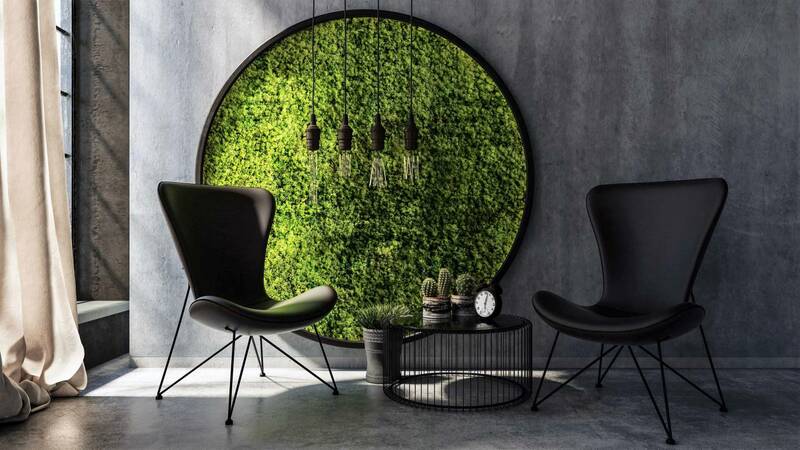 An interesting idea is to combine a vibrant moss wall with elegant black furniture. Panels made from preserved lichen are environmentally-friendly and will be sure to impress your guests. 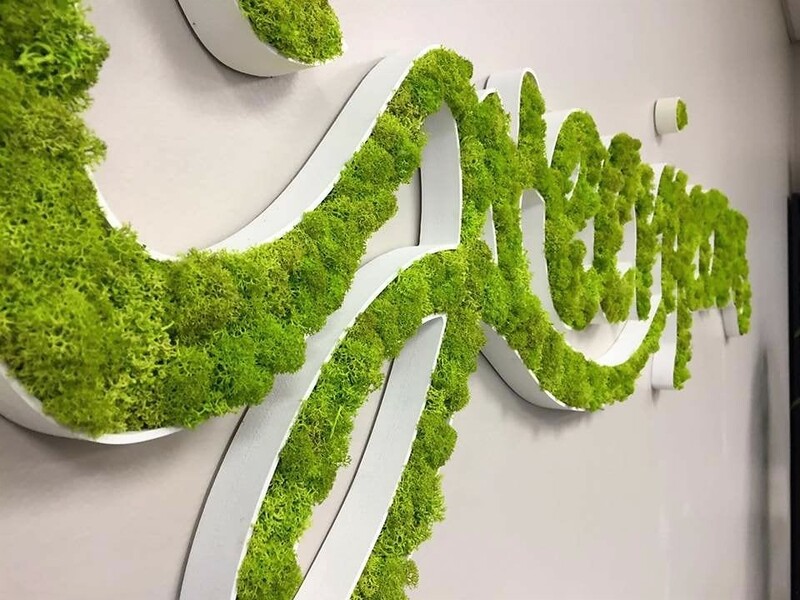 Creating wall signage using moss is possible. 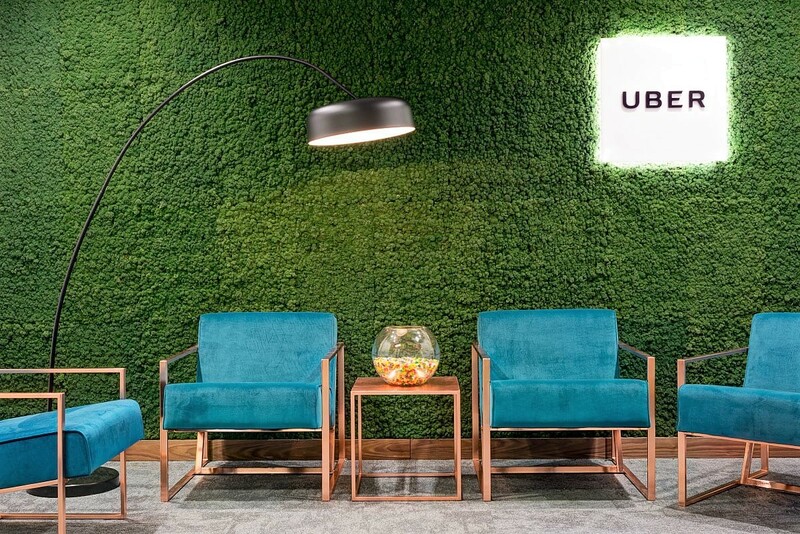 There are specialized companies like Green Wallscapes that can help you bring your custom logo projects to life. One cool aspect regarding moss is that it can be dyed using non-toxic artificial or natural colorants. This opens up some new customization possibilities when you wish to add a contrasting accent to your green moss panels. In case you prefer faux greenery, there are some options available which can successfully mimic the natural look of moss. Fake grass is inexpensive and can be found at lots of craft stores. It’s a good alternative that requires minimal effort and can simulate the look of real moss. 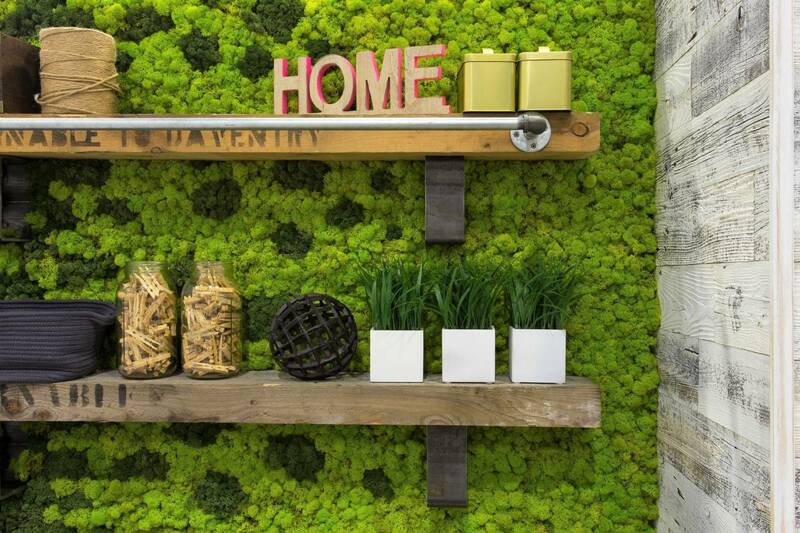 Making a living wall with faux moss shouldn’t be overlooked if you still wish to add a splash of green into your home.